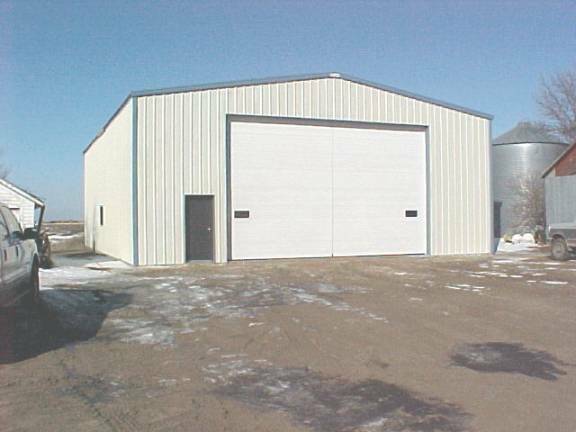 Is a dealer for Star steel buildings, and North Central overhead doors, and steel building related accessories. Holtey Construction has over thirty five years of experience in the construction industry constructing buildings and selling and installing high quality, commercial and industrial overhead doors, Bi-Fold doors, operators, remotes and a full line of commercial steel walk doors. We service all brands of doors and operators, offering door inspections, maintenance program and emergency repairs. Some of the brands we are associated with are: Liftmaster, Chamberlain & North Central Door. Our mission is to provide high quality construction products and services to our customers. Call Holtey Constructionfor your next building project at 605-225-3631. Past projects include: Commercial shops, farm buildings, riding arenas, warehouses, as well as many other types of structures. All rights reserved. Copyright © 1999, Holtey Construction.